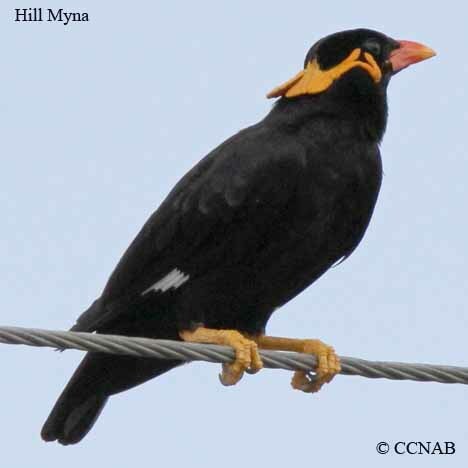 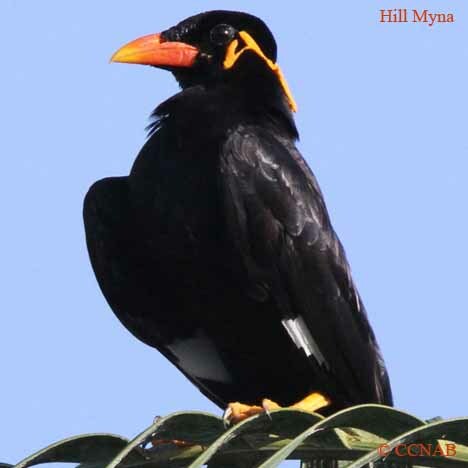 The Hill Myna is an Asian bird introduced into the southern regions of Florida. 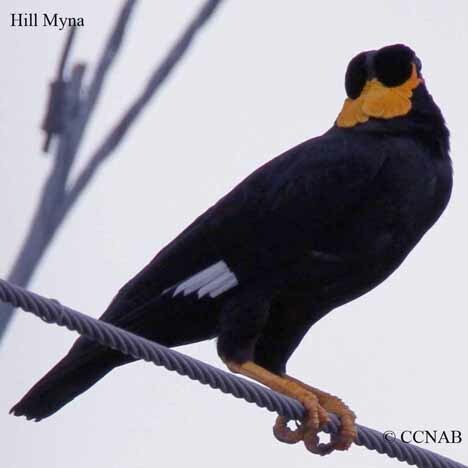 This bird is in the same family as the European Starling seen here is North America. 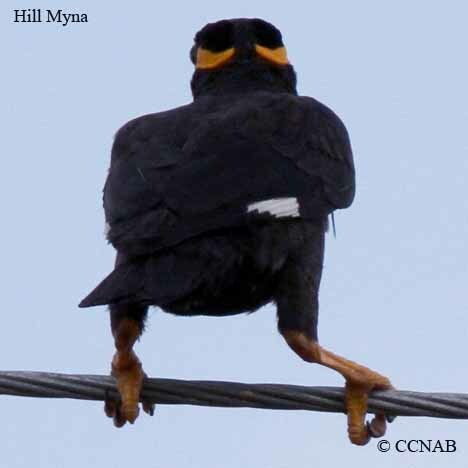 Which is in itself, is another introduced bird. 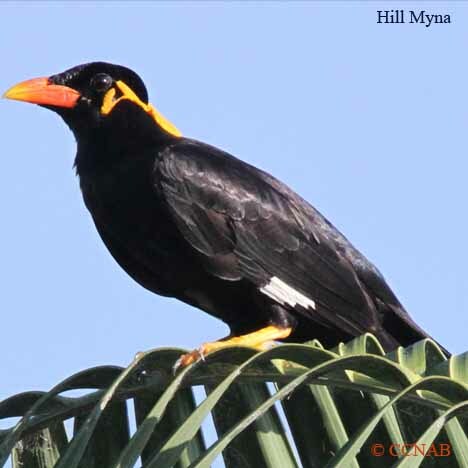 This myna is comfortable around people, it makes its habitat in the cities and suburbs.